Here is a list of the top best Cydia jailbreak tweaks released in the year 2014 for iPhone and iPad. 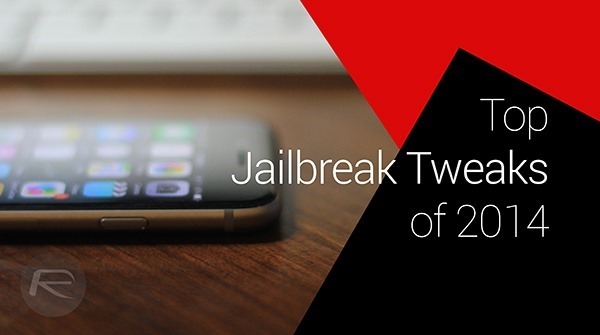 This list only includes jailbreak tweaks and apps that were released on Cydia this year for iOS 7 or iOS 8. It does not include tweaks that were originally released before 2014 and were updated this year for compatibility on iOS 7 or iOS 8. If you want the Apple Watch UI on your iPhone then Watchboard is the perfect tweak to make that happen. 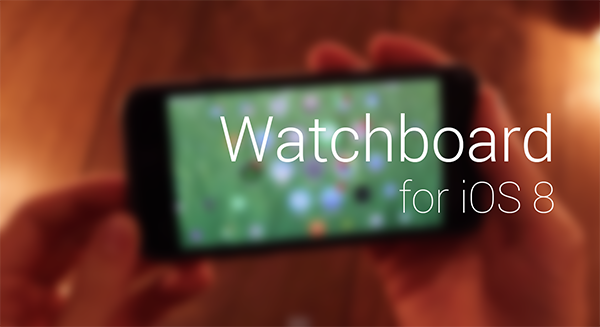 Watchboard is compatible with iOS 8. This tweak allows iPhone users to connect non-MFi game controllers with their smartphone. 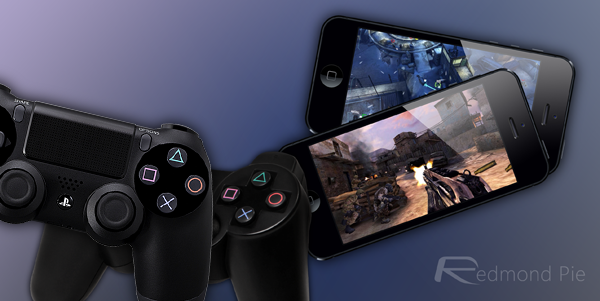 Controllers For All is compatible with iOS 7 and iOS 8. If you want to enable dark mode on iOS then Eclipse and Eclipse 2 are the way to go. 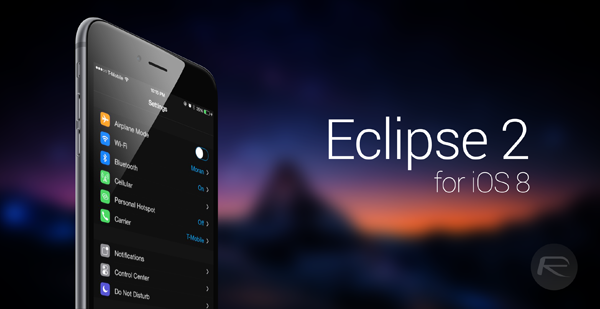 Eclipse is compatible with iOS 7, with Eclipse 2 being compatible with iOS 8. With Vertex you can simply swipe up from the bottom of the screen to bring up the app switcher, but coupled with the Control Center as well. 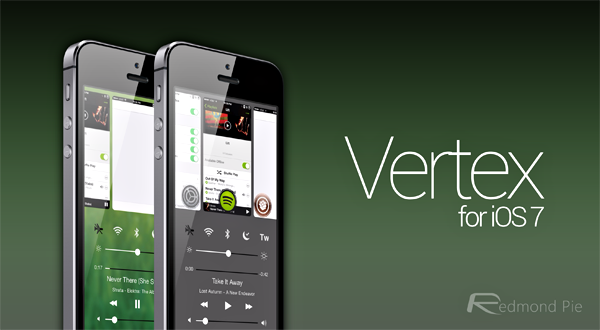 Vertex is compatible with iOS 7 and iOS 8 both. A quick reply and compose tweak for your messaging needs, Auki has a plethora of features and customizations to offer, so much so it feels like it should have been an integral part of iOS be default. Auki is compatible with iOS 7. Rejuvenate your lock screen with this tweak which gives you an uncluttered space to deal with your information with the addition of widget and much more. 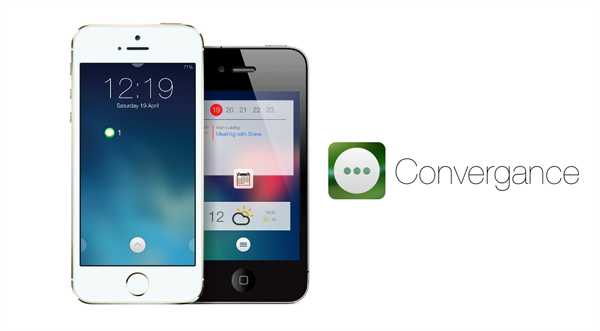 Convergance offers plenty of themes and is compatible with iOS 7 and iOS 8. This tweak introduces a new notification style for your iOS device, by adding pulsating lights around your home screen icons to inform the user of a running app in the background, or an awaiting notification. 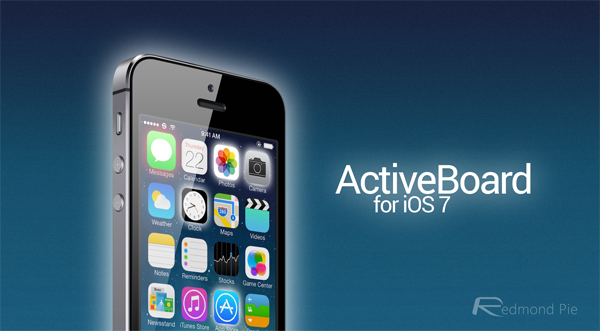 ActiveBoard is compatible with iOS 7. If you want a detailed look at your battery usage on an iOS device which it lacks by default, look no further than this tweak. 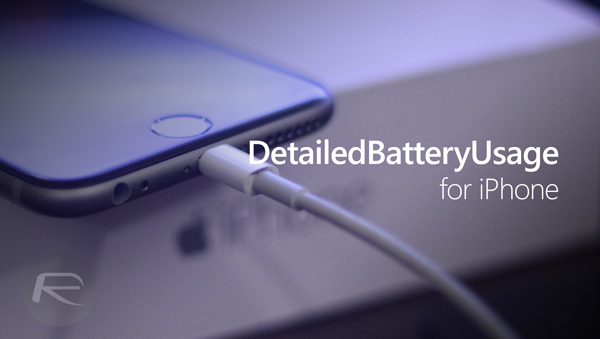 DetailedBatteryUsage is compatible with iOS 8. 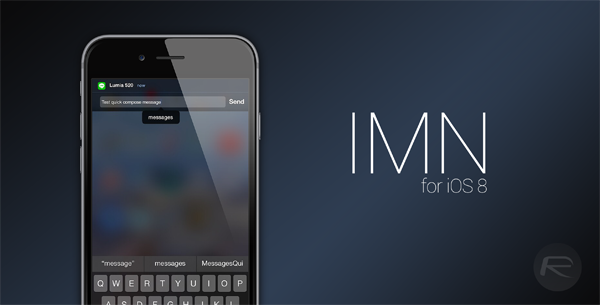 With IMN you can now extend iOS 8’s quick reply feature to third-party apps as well. IMN for iOS 8 is understandably compatible with iOS 8. There’s no qualm over unlocking the phone via the standard wake/lock button, but sometimes it’s just cool when you blow into your iPhone’s microphone to unlock it, and this is exactly what this tweak allows for. 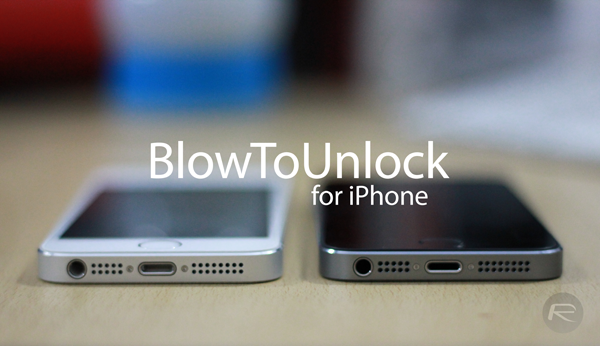 BlowToUnlock is compatible with iOS 7. With this tweak you can now use the Touch ID home button to perform certain functions with pre-defined actions, such as single tap, double tap and more to activate Multitask, run Siri and more. 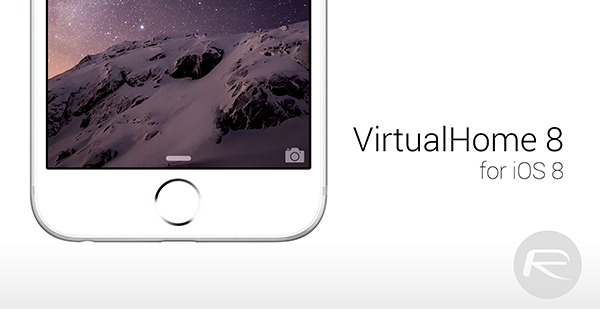 VirtualHome 8 is compatible with iOS 8. Sure the Touch ID sensor protects your iPhone from getting in the wrong hands, but what about your apps? 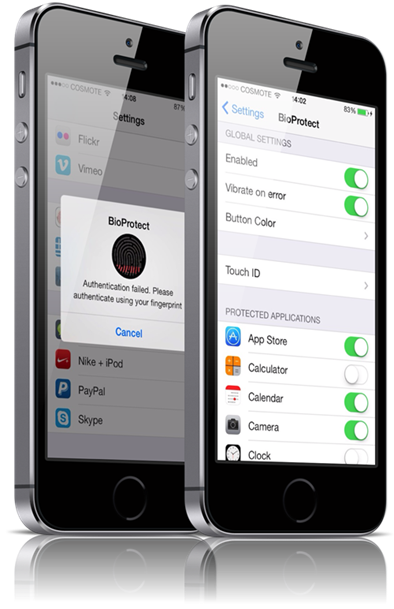 BioProtect adds a Touch ID supported lock for all defined apps. BioProtect is compatible with iOS 7 and 8. 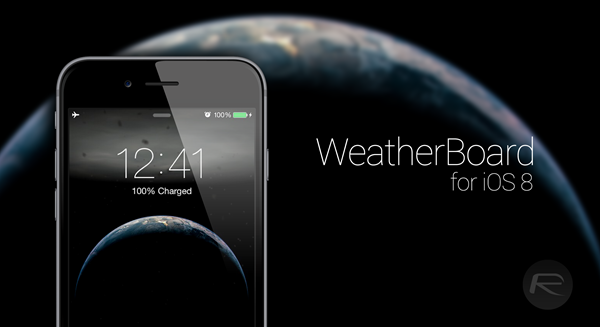 Liven up you home screen wallpaper with some animated weather conditions courtesy of WeatherBoard. The tweak overlays on the existing wallpapers with the existing weather conditions. 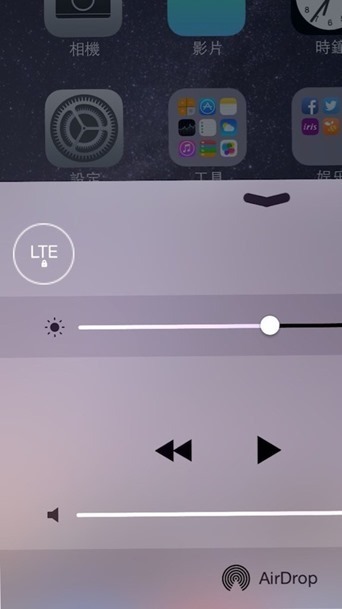 WeatherBoard is compatible with iOS 7 and iOS 8.
iOS has been built to automatically drop to 3G when 4G signals are running weak, which is a smart thing to do and conserve battery, but if you want to insist with 4G inspite of that, Lock4GLTE will keep your device locked to LTE. 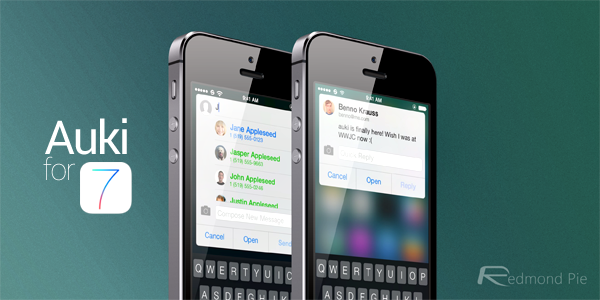 Lock4GLTE is compatible with iOS 7 and 8. 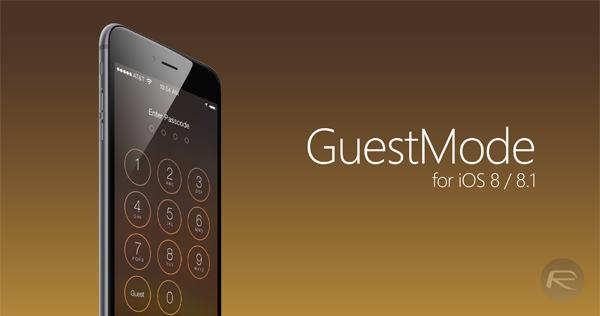 Give your iOS device a guest mode with this tweak and keep your iOS device’s settings and data totally secure. GuesMode is compatible with iOS 7 and 8. You forget to mention AppLocker, JellyLock, BytaFont and many others. All the tweaks you mentioned were originally released either in 2013 or before it. i want my CC to look like it does in that Vertex photo! Bro, i own iPhone 6 Plus officially launched in Pakistan. I found it’s display some yellowish. Is there any way to adjust display calibration? Hey folks, are you having trouble սոⅼοсking your AT&T phones? Considering that sites that could actually սոⅼοсking AT&T are not anymore, since AT&T did the information base renew. But you can find still sites which may have access to the database, just google atttiphoneeuunlockingis among us, go take a look, it’s one of the most secure սոⅼοсking site for AT&T without any doubt.